Remember all those chilly winter nights? With Christmas festivities all around – all you can think of is a nice cup of coffee and being all wrapped up, snuggled on a couch. Christmas brings with itself many beautiful memories and flavours for you to cherish. Although Christmas has a lot of symbols but ‘Frozen Pine at Christmas’ is just one of the most beautiful Christmas symbols! Frosted Pine Trees in itself reminds us of Christmas and the festivities. You cannot imagine Christmas without a Frozen Pine Tree!! If you are a business owner then why not send one of our beautiful electronic Christmas cards for business to your customers, suppliers or partners to bring them a little festive cheer. This ecard not only brings out the festivity of Christmas but also enriches your mind with the lovely ‘Christmassy’ feel! 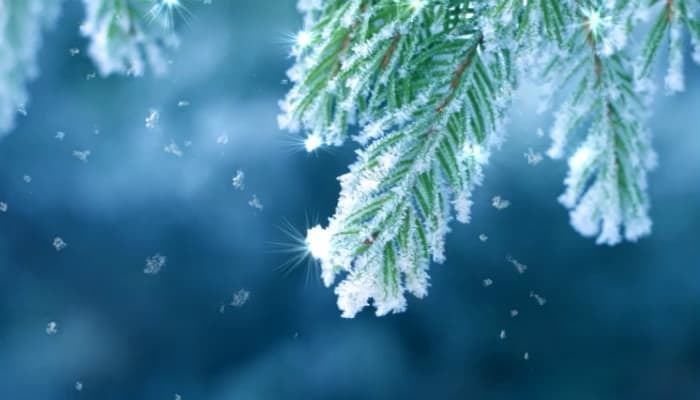 You may like to send these beautiful frosted Pine Tree ecards to your friends and family. The elegant design presents a perfect way to wish your dear and loved ones a very happy Christmas and a new year ahead! There are lots more corporate Christmas ecards to peruse if this one doesn’t quite appeal to your business.